Try these natural Home remedies first. If they work, you need not to go for medication or surgery treatment. Mix the baking soda with water to make a paste, one part baking soda to two parts water; apply it to the scar, massage in circular motion for a minute, and wash off. Cut an aloe vera and spoon out the gel; put the gel on your acne directly. You can also use the mixture of vitamin E and aloe vera after the application of baking soda paste.Moreover, soap with Aloe Vera and Shea butter can remove excess oil efficiently. Smear fruit pulp on the scar and leave it for 15 minutes. Mix a full spoon of sugar and salt, and then add grape seed oil to the mixture. Apply the mixture to the scar area and keep it for 5-10 minutes. Massage a small amount of olive oil into the scar. This can help moisturizing and eliminating the scar. Water and bicarbonate mixture can treat acne scars and inflammation effectively. Mix the water and bicarbonate until it gets thick; apply the mixture on the affected area at night; wash it off with lukewarm water in the morning. Tomatoes also have antioxidant properties which can help rejuvenating and healing skin. Moreover, they can prevent the sebum (the root cause of acne and acne scars) form overproducing. Rosehip oil is effective in regenerating the skin and reversing discoloration. Some excellent aromatic plants are effective treatments too. Garlic is a superb one. Basil is also regarded as a great herb. Keep enough water intake. Make sure you drink 8-10 glasses of water every day. Water can flush out toxins and thus help fade acne scars. Maintain a balanced diet. Eat more fruits and vegetables can alleviate ace scars too. Consider medication or surgery treatments if the natural ones don’t work well. There are some general medication treatments which is helpful for all acne scars. Try Over-the counter scar-fading cream. Choose a cream containing kojio acid, arbutin, and vitamin C. All these ingredients can exfoliate skin and restore texture and tone. Use gentle xfoliant ontaining alpha-hydroxy acids and beta-hydroxy acid. This can help removing dead skin cells and rejuvenating the scars and cuts. Mix a crushed zinc tablet into your sunscreen before applying. 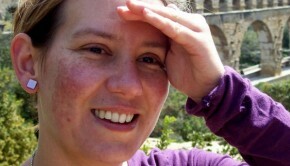 The sunscreen can prevent the sun damaging the skin cells. And the addition of zinc can help the body to produce keratinocytes which can create keratin to grow new skins. For some treatments, you have to be familiar with your scar type first because some treatments are just for particular scar type. This type is the most common marks left by acne. They look similar to the hole left by an ice-picker. Usually, ice pick scar can be filled up naturally with collagen, but some are just too deep to heal completely. Chemical peel and fractional or CO2 laser are treatment options for ice pick scars. Chemical peel can improve the appearance of ice pick scars by removing its top layers. It takes a week to recuperate from the peel. Fractional laser can accelerate the production of collagen. It has fewer side-effects because it is a non-ablative laser. CO2 laser is much stronger and takes longer time to recuperate after laser exposure. And you need to apply antiseptics every few hours. They usually occur on the temples or cheeks and have a rectangular shape. Laser therapy is also can be used to treat box car scars. For shallow scars, a non-ablative laser is OK. But, for deep one, you may have to consider silicon injection. They are wave-like and have tapering edges. Besides laser treatment, skin-needling is an option too. It takes time to see the actual results but needs little recovery time. Both Silicon filler and dermabrasion can be used on rolling scars. This type of scars is thick and raised from the skin. The recommended option for this is steroid injections which can reduce inflammation and the size of raised tissue. Other treatments which can treat the scars and cuts including tissue filler, punch technique, augmentation and so on. No matterwhich method you intend to choose to get rid of the scars and cuts, remember to find a good doctor whose can assess your particular case and recommend proper option.